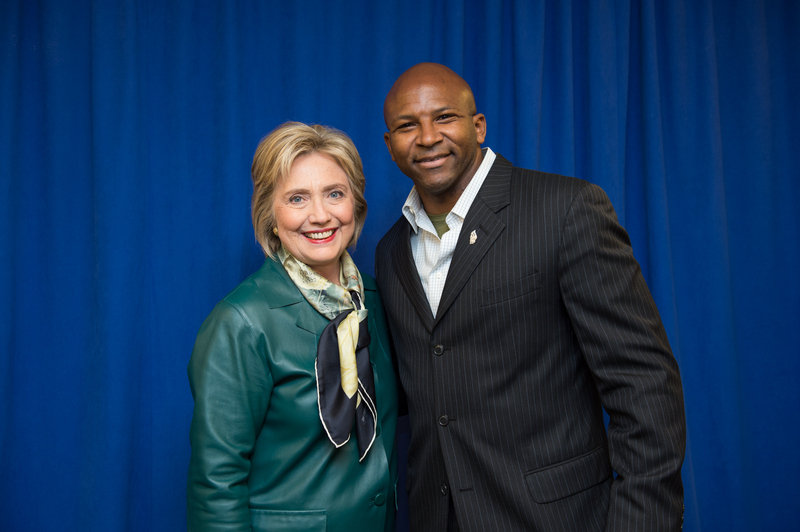 Terron Sims, II sits on the Board of Principals of the Truman National Security Project and was on Secretary Clinton’s (HFA) National Security Policy Team, serving on the Veterans and Military Families (VMF) Policy Working Group. In 2019, Governor Ralph Northam appointed Terron to serve on the Virginia Complete Count Commission, which assists the US Census Bureau in accomplishing its mission. Terron is a graduate of the United States Military Academy at West Point. 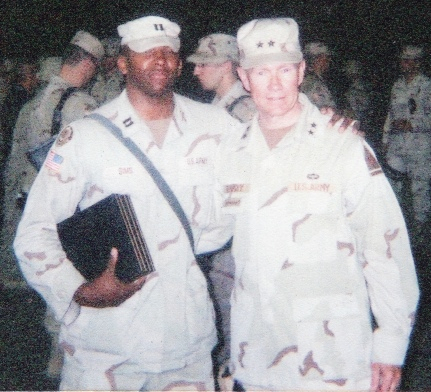 While deployed in Iraq (May 2003 - July 2004), Terron established and mentored the government of Baghdad’s Tisa Nissan District, where he served as the primary liaison to the CPA, the UN, Baghdad City Hall, and Iraq’s federal government. Additionally, he was the Wasit Province’s primary military liaison officer. Terron’s final Army assignment was supervising and designing a $29 Million dollar real-world fighting village for the Joint Readiness Training Center. As a civilian, Terron has worked for Army G3/5/7 Current Operations Center- tasking MACOMs to support MNC-I, MNF-I, SOCCENT operations for its HQ, Arabian Peninsula, the Horn of Africa, and SW Asia, GTMO, JTFB, JTF-HOA, and various OCONUS and CONUS operations. Terron also worked for the Army ACSIM (Assistant Chief of Staff for Installation Management), where he developed and managed the system that streamlines the Army’s instillation requirements budget validation process, and led the team that developed DoD’s Sexual Assault Incident Database (DSAID). In 2008 and 2012, Terron was Director, Virginia VMF for Obama and served on the Defense and Veterans Policy Teams, where he wrote the Service Member Life Insurance policy. Terron was an official surrogate on national security and veteran and military family issues. At the 2008 Democratic National Convention, Terron was featured in Steven Spielberg’s veterans’ tribute video, and again in 2012. In 2010, Terron wrote the Democratic National Committee’s VMF candidates’ platform, which is used in federal campaigns nationwide. In 2013, Terron crafted the UK Labour Party’s national security and VMF policy platforms. Terron is president of the Northern Virginia Black Democrats and is the Vice Chair for Membership and Recruitment for the DNC’s VMF Council. 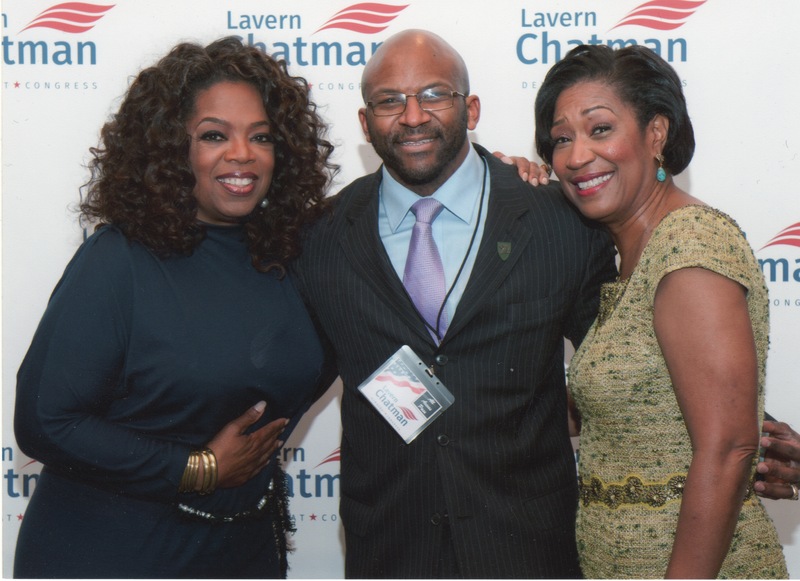 He is the past chair of the Democratic Party of Virginia’s (DPVA) VMF Caucus and recently served 11 years on Virginia’s 8th Democratic Congressional District steering committee and 10 years on DPVA's steering committee. Terron was instrumental in Sen Tim Kaine, Gov Terry McAuliffe, Congressman Don Beyer, and Gov Ralph Northam's campaigns, where he assisted in standing up their VMF apparatus, served as an official surrogate, edited policy (VMF; National Security; Energy), organized events, and raised funds. Upon Gov McAuliffe’s victory, he appointed Terron as the co-Director of the Veteran Services policy Transition Team and appointed him to serve on the Virginia Military Advisory Council. Terron has published two novels, With Honor In Hand and Hands of Honor, and has written his third novel, For Hands to Honor, along with his Iraq memoirs, Baghdad Peace. He also writes articles surrounding veterans and military family issues, national security, and defense. Terron regularly tutors and mentors young people in northern Virginia and is a education and community activist.